Between Art Lab (Beijing) and Fou Gallery (New York) are pleased to announce the opening of Chang Yuchen’s solo exhibition on September 12, 2015. Under the title of “Barbaric Poetry”, this exhibition will include Chang Yuchen’s works based on various media, including printmaking, installation, artists’ book, video and among the others. On the opening reception, Chang Yuchen will perform a sound piece that combines vocal and electronic synthesizer. The exhibition will last until October 20, 2015. “Barbaric Poetry”, as title, derives from “to write a poem after Auschwitz is barbaric” by T. W. Adorno. As an essential part of an artist’s being, to write a poem is a barbaric act to a large degree — it requires indifference to keep the critical distance between the artist and his/her surroundings, and mercilessly the artist rinses and filters his/her own emotion to reach certain limpidity. In Chang Yuchen’s work, barbarity manifests itself in the tension between fragility and violence, between the artist and the media used, between the media and the images. 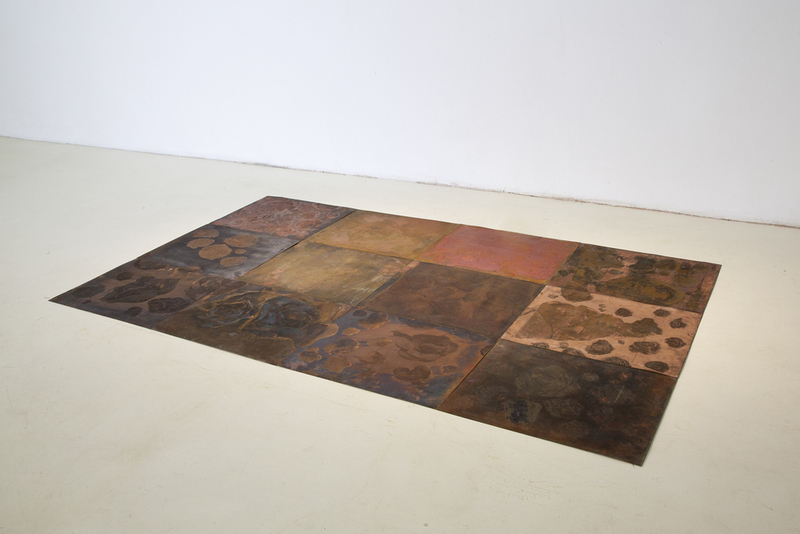 In “Rose”, an installation composed of eleven pieces of copper-plate, repeated erosion and abrasion turned the surface as rough as a wild and unsettled planet, depriving every bit of the delicate and youthful quality that usually associated with the image of rose. 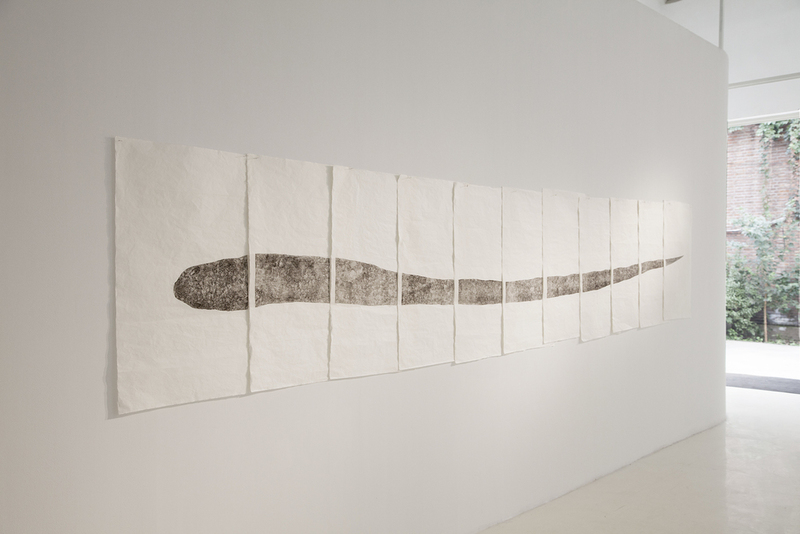 In “Snake”, a set of etchings on mulberry paper, artist’s restrained gesture lends lightness and serenity to this epic and savage image; when looking closer, however, the viewer will find the intricately patterned scars on the surface of the snake are silently recalling certain turbulent history, in the same way that the ruins silently recalls the memory of the past warfare. In “Necklace, in Collaboration with Yuan Yi”, an installation includes objects and video, Chang wears a necklace made with sharp cullets-an ornament, but also a dangerous weapon. In the ordinary and feminine act of putting on a piece of accessory, violence, presents itself in an ordinary and feminine way.